Phenoxybenzamine is used in dogs and cats that have difficulty urinating due to spasms in the urethra. It is also used to reduce blood pressure in animals with a certain type of tumor called pheochromocytoma. This rare tumor of the adrenal gland most commonly occurs in older dogs, but may also occur in cats. Phenoxybenzamine is used in horses to decrease urethral sphincter tone, and there are some experimental reports on its use in the early stages of laminitis and for some types of diarrhea. Give this medication to your pet exactly as your veterinarian prescribes. 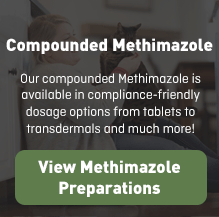 If you miss giving your pet a dose of phenoxybenzamine, give the next dose as soon as you remember, or, if it is close to the next scheduled dose, return to the regular schedule. Do not double dose in order to catch up. Give with food to reduce GI (stomach) upset. Phenoxybenzamine can cause changes in blood pressure, most often low blood pressure. Other side effects include rapid heart beat, weakness, dizziness, nasal congestion, pinpoint pupils, inability to ejaculate, nausea, and vomiting. 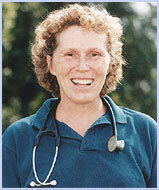 Phenoxybenzamine can cause constipation and colic in horses. Keep this and all drugs out of reach of children. Phenoxybenzamine is a prescription drug and should be used according to your veterinarian’s directions. It should only be given to the animal for which it was prescribed. Do not give this medication to a person. Phenoxybenzamine should be avoided in animals that are in shock, dehydrated, or have decreased kidney function. Your veterinarian may choose to use intravenous fluids to support your pet under these circumstances. Phenoxybenzamine should be used with caution in animals with congestive heart failure or other heart problems. Phenoxybenzamine should not be used in animals with glaucoma or diabetes mellitus. 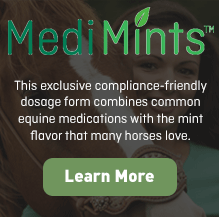 Phenoxybenzamine should not be used in horses with signs of colic. The following drugs may interact with phenoxybenzamine: epinephrine, phenylephrine, and reserpine. 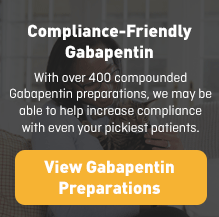 Different strengths or dosage forms of phenoxybenzamine may have different storage requirements. Read the labeling or ask your pharmacist for the storage requirements of the prescription you receive.